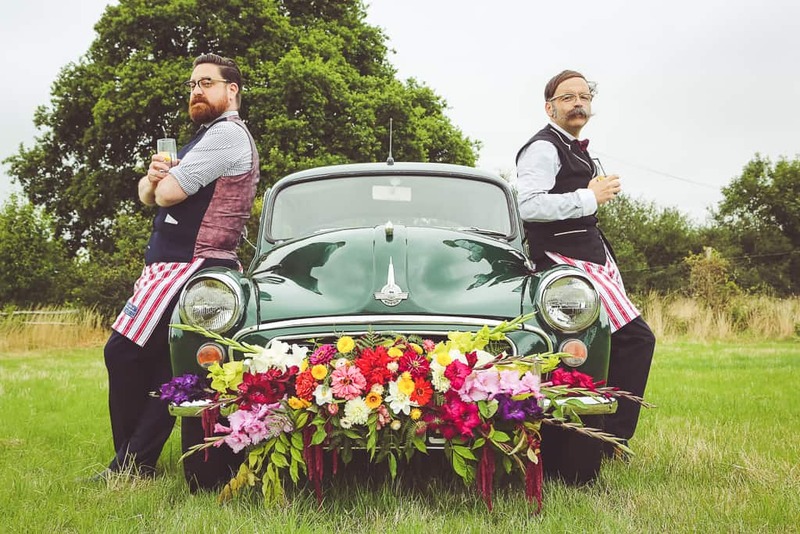 A BRITISH CELEBRATION FILLED WITH FLOWERS, WELLIES & GIN! Today’s shoot is all about celebrating our local businesses, stylist Naomi Gale of ‘Styled by Naomi’ felt that when it comes to planning a wedding people don’t always keep everything as local as perhaps they could and they wanted to create an entire shoot celebrating all things British! This was even shot in a beautiful area which is run by a lady who grows flowers for brides to pick up in buckets! How adorable! “One thing we wanted to ensure when arranging this shoot was that the overall look would be achievable again. We felt that this shoot really does inspire people with feasible ideas. We wanted to create a shoot which celebrated all things British. Everything right down to the gown which was British made and local. We wanted to inspire people to think a little closer to home when it comes to sourcing suppliers and items. Some of us are super keen to do this when we shop but when it comes to planning a wedding we felt that people don’t always keep everything as local as perhaps they could. Smaller local businesses appreciate the support and it is super important to make people aware of small suppliers pouring their hearts into their work which we felt this shoot shows. The pleasure really was ours Naomi!